Universal mixer-crusher for the processing of biogenous material to achieve an optimum starting mixture for the biodegradation process. 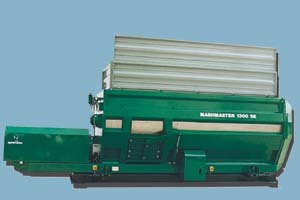 Homogenization and mixing of malodorous biodegrading waste or sludge with clippings, straw, sawdust etc., as well as mixing sludge with garbage for optimized biodegradation. 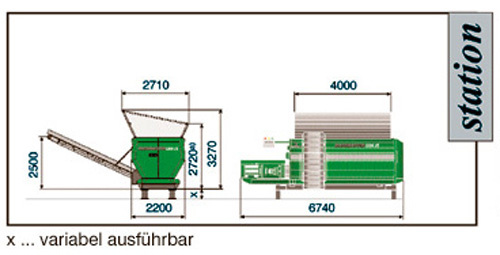 Crushing - mixing - homogenizing: 4 augers keep the material in an intensive circular movement. Precise definition of the mixing ratio and automation possible by loading the feeding belt using electronic scales. Long service life due to wear-resistant tools and container with replaceable bottom plates.